Have you also often wondered how a filter works? I have and last month I got a book in my fingers that deals with machine learning. In that book there is a chapter about naive bayer classifier, and that naive bayer classifiers are used to implement spam filtering. All programming examples in that book are in python and I do not speak python, so i calculated the naive bayer classifier myself, wrote a c# program and put it on codeplex (naivebayes.codeplex.com). I made the application only do demonstrate the principle of spam filtering, it is not for practical use. To understand how naive bayes classifiers work the best example is the cookie problem. Lets assume we have two bowls with cookies in it. After defining our hypothesis and taking one vanilla cookie, now we have one evidence, and we can calculate the probability that we took it from bowl 1 or bowl 2. So now we can define the hypothesis under the evidence that we took a vanilla cookie. Bayes theorem says that you can calculate the evidence under the hypothesis one P(h1/E) with multiplying the P(h1) with the calculated evidence under the hypothesis P(E/h1) divided by a base P(E). To calculate P(h1/E) that is the value that tells us how big the chance is that our hypothesis one is correct. What we need to calculate that value is P(E). In this case it is very easy to find. Is is the sum of all vanilla cookies divided by the sum of all cookies. So now we have all values we need for bayes theorem. That means after taking one vanilla cookie we can say that the chance that we take cookies from bowl 1 is 63.6 percent. So that’s it with the cookie problem but how can us help that by implementing a spam filter? We can calculate the possibility if a mail we get is spam or not spam with the same formula, with bayes theorem. Now we will calculate Q for every word w.
Now we use bayes theorem to calculate P(h1/E) and P(h2/E). Now we calculate Q and check if it is greater or smaller that 1. Q is smaller that one that means that the word mother occurs more often in one of our not spam mails. To check all the text in a mail we only have to calculate Q for every word sum all Q values up and divide it through the number of all words in the email. Now all we have to do is to implement a program that takes the emails and checks a given email for spam. To check if the program does what it should do, i implemented two tests that check phrases. The NaiveBayersSpamTrueTest method uses phrases from spam mails and the NaiveBayersNotSpamFalseTest method uses phrases from not spam mails. That is the spam true test. That is the spam not true test. The methode Read is called two times, one time for the spam mails and one time for the not spam mails. After reading the text from the text files i need a class that parses all words from the text into a dictionary and count how often a word occurs. So that parser tells me how often a word occurs in all my spam mails and in all my not spam mails. So for simplicity the parser takes the text of every mail and splits it into word by using the string.Split(‘ ‘) method, that means every times a blank occurs a new word starts. Now all the groundwork is done. What we need now is the method that calculates Q for every word and calculates out of all Q values of all words of our email, if it is spam or not spam. In the constructor of the NaiveBayes class the mails are read and saved in the spamMails and notSpamMails variable. The CheckMail method is the starting point of the calculation. First it parses the spamMails and the notSpamMails string and fills two dictionaries with the spam and the not spam mails words. Then the CheckIfSpam method is called that splits the mail text in words and calls for every word the CalculateQ method. Then it sums up all q values and divided it by the count of all tested words. If the calculated value is bigger one it returns true that means spam if not it returns false that means no spam. In the CalculateQ method we calculate Q with the bayes theorem. We calculate Ph1e by dividing wordCountSpam by countSpamMails and Ph2e by dividing wordCountNotSpam with countNotSpamMails. Then we divide Ph1e by Ph2e and the result is q. So that’s it, if we now give the CheckEmail method a phrase (e.g. “Thanks in advance for your support”) it recognises that this is not from a spam mail. The complete source code including the text from spam and not spam mails is in the naivebayes.codeplex.com project. If you need more information about naive bayes classification i would recommend the open book Think Stats: Probability and Statistics for Programmers. I have to say that I really enjoyed implementing the naive bayes classifier, because i always wanted to know how a spam filter works and it is surprising how good it works. Now if we want to check if the system uses big or little endian in c# there is a very easy way, you can use the BitConverter class that has an IsLittleEndian property. var safeBigLittleEndian = (bytes == 1) ? 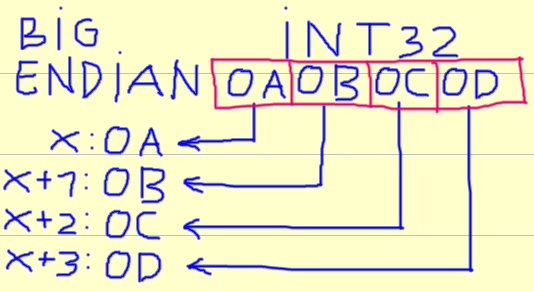 What we do is we take the Int32 type intValue and assign 1 to it. 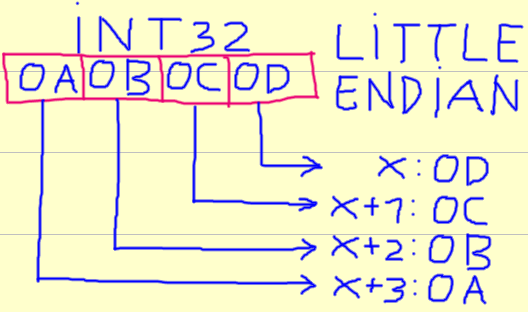 Then we use the BitConverter class to generate a byte array out of that Int32 value. If the zero byte of the array (byte) is one the we know that the system uses little endian because the 1 is in the lowest address (byte). If you search for check little or big endian in google you often find the c/c++ solution. In c# you have to use the unsafe keyword, because you need pointer syntax to implement the c/c++ solution. var unsafeBigLittleEndian = (byteValue == 1) ? return *((byte*) &intValue) == 1 ? For a more detailed explanation please look at the wickipedia article about Endianess.